This post is way over due, but it was most certainly an enjoyable trip. 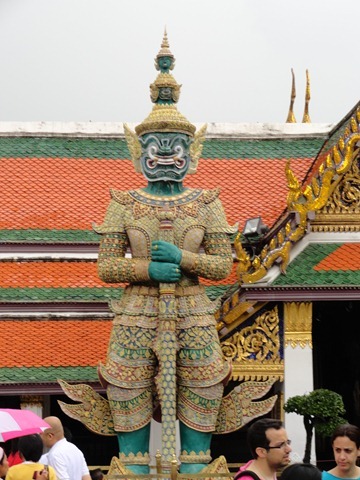 Following are pictures and observations from a fun filled Thai weekend. 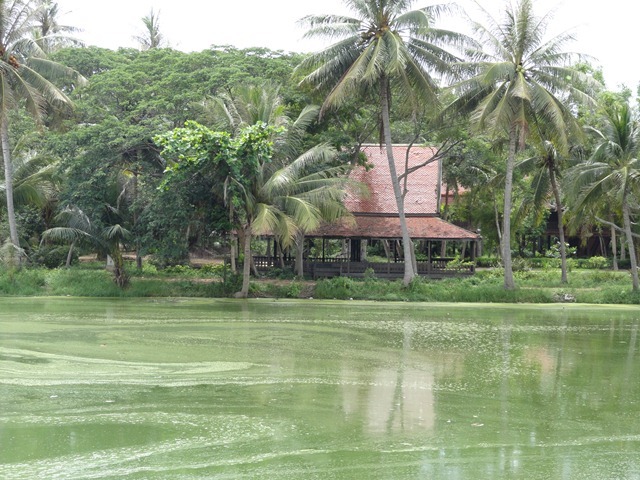 Hua Hin is a resort, beach town similar to resorts you may see around the world. The hotel resort itself created a tropical, aesthically striking scene, although a bit unnatural, much like a river view right outside of the beach and ocean front. At the beach, tourists from Thailand and around the world frolicked on the beachfront and in the ocean, enjoying the sunny weather. A slight breeze helped create a respite from the hot, humid Thai weather. 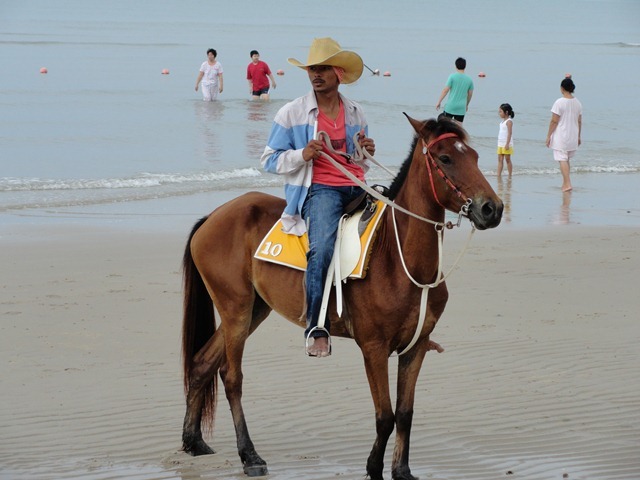 One memorable scene from the beach were locals on horses on early morning rides. 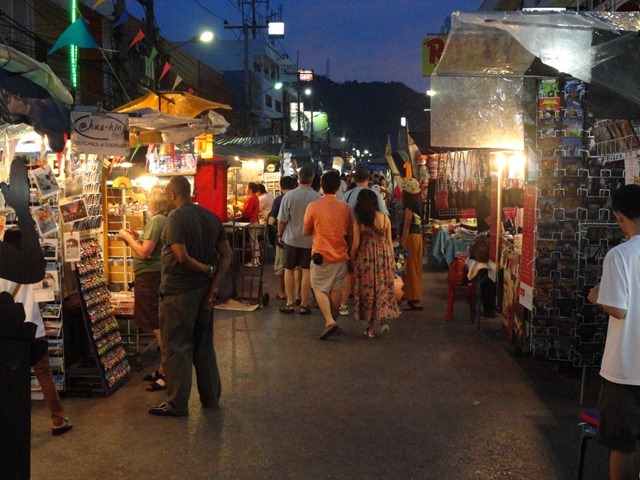 Hua Hin has a nice street market, full of shopping, food and seafood vendors, and trinket shops and restaurants geared to both locals and tourists. 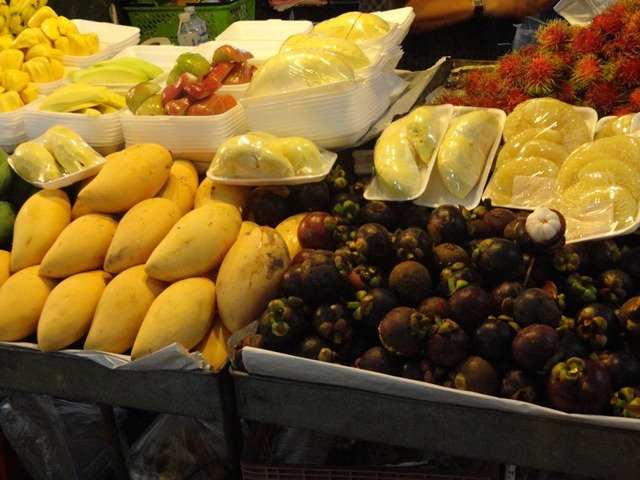 The fruits and seafood were especially impressive, particularly the sweet pineapple and giant prawns. 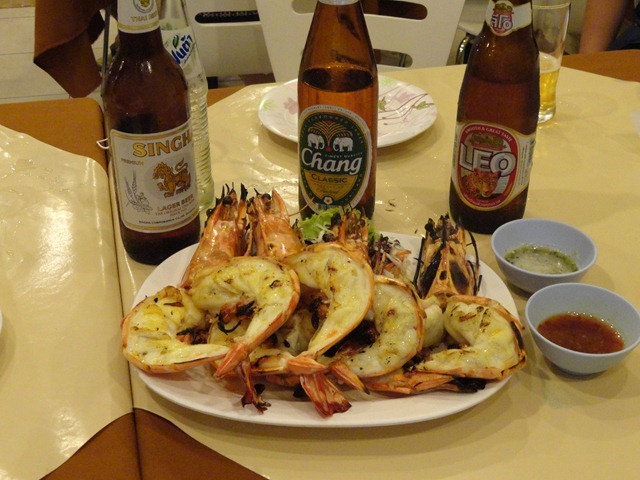 A highlight dinner of prawns and Thai Singha and Chang beer. After two days in Hua Hin, our group of near 200 Indians went to Bangkok for one day and one night. A new learning for me was that the primary purpose for Indians to go to Thailand is to go shopping for electronics. Apparently, televisions, phones, and tablets are much less expensive in Thailand than India. The itinerary for the day was almost exclusively devoted to shopping at malls targeting Indians. Clothing, luggage, and especially electronics were plentiful. For me, however, shopping wasn’t of interest and I broke from the group to go see a few tourist sites. 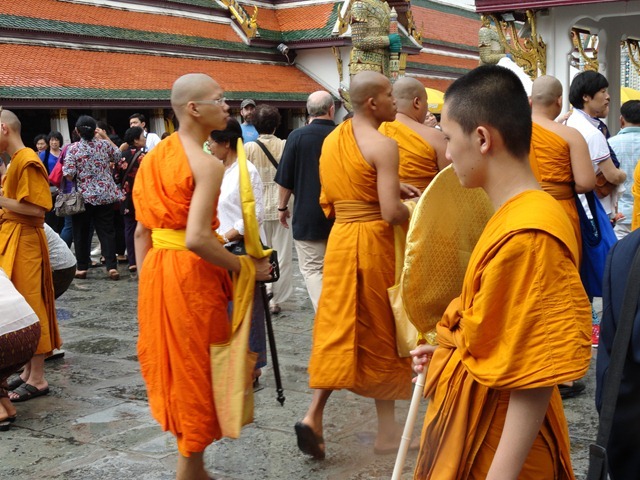 It was a rainy day, a Thai holiday, which left only a few prominent tourist sites up. 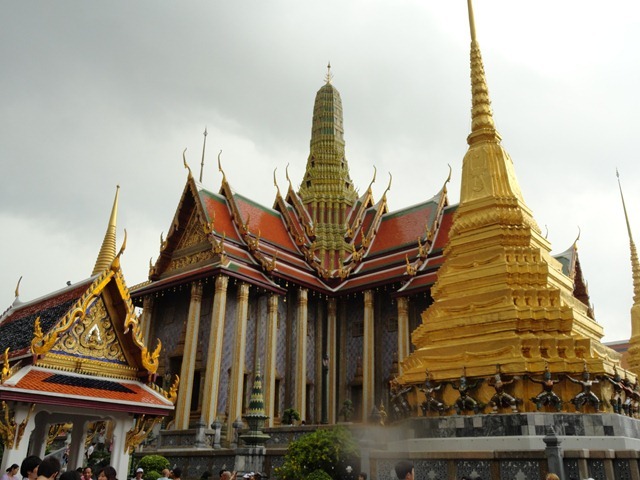 First up, the Grand Palace. 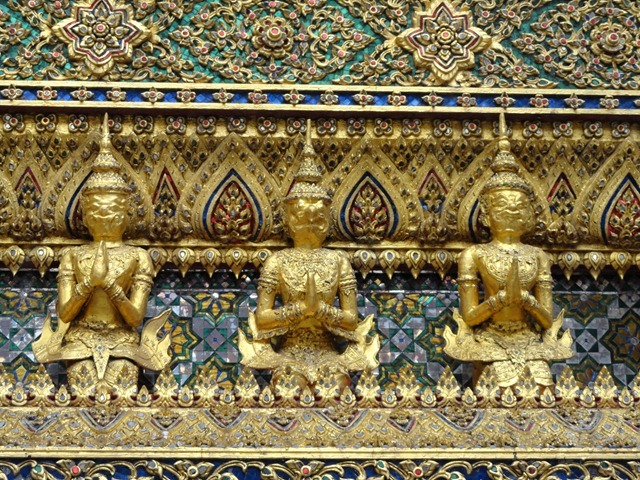 Exquisite, unmistakable carvings adorned the Grand Palace. 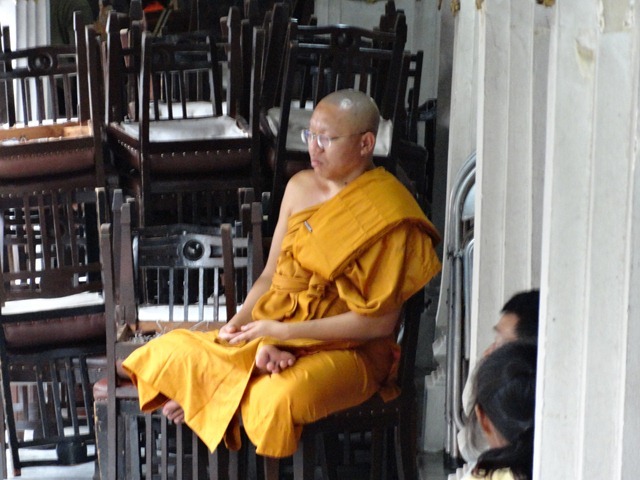 Inside and outside the palace, Buddhist monks were present in glowing orange gowns. Indeed, a very familiar pose. After a day at the Grand Palace, I enjoyed a fantastic dinner in Chinatown with the family of one my colleagues from Bangkok. 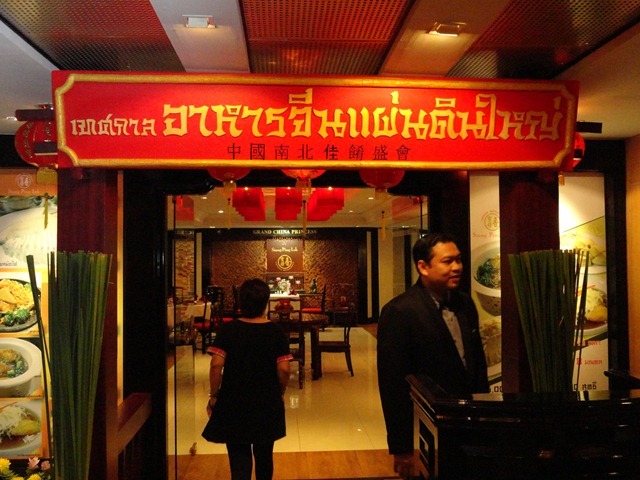 Some of the best Chinese food I’ve ever had turns out to be in Thailand. 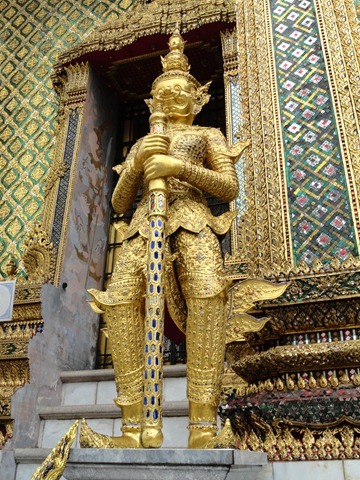 Some additional observations from my three days in Thailand. 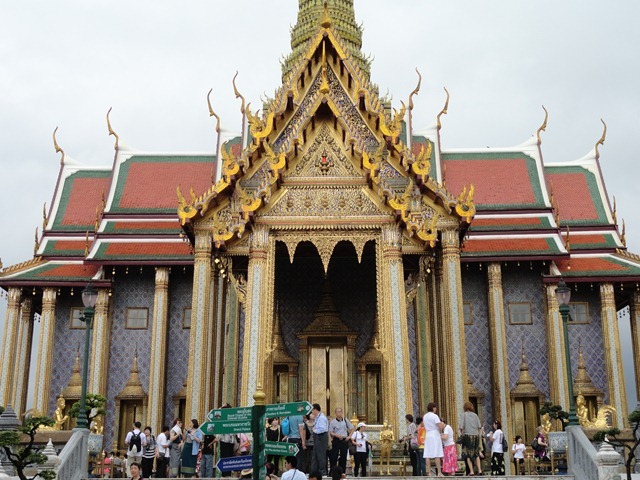 The Thai people are very friendly and hospitable. Often smiling, it’s a joy to be around the Thai people. During the nearly three hour drive from Hua Hin to Bangkok, the roads and infrastructure were excellent. The drive reminded me of the drive in Kauia, Hawaii and Merida, Mexico. With no experience with Thailand, I found myself comparing Thailand to my Asia point of reference of India. Thailand’s roads, driving decorum, and order are miles ahead of India. The mall in Bangkok looked and felt like a mall anywhere else in the world- similar to a mall in Munich, Hyderabad, or the suburbs of San Francisco. 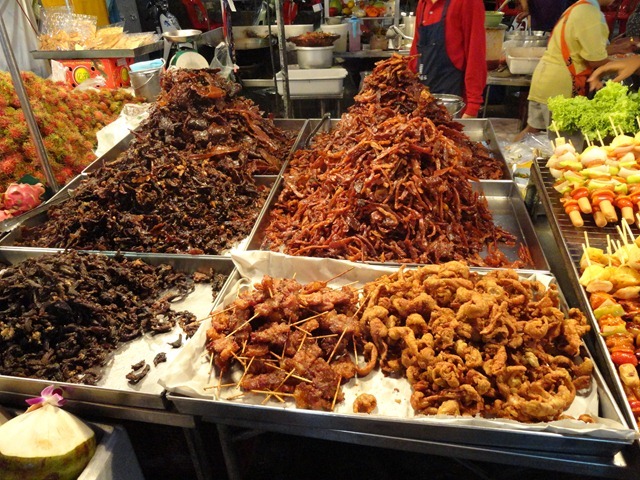 The shopping experience in Bangkok was much more relaxed than similar experiences in Beijing or in India. Vendors in those cities are much more aggressive. 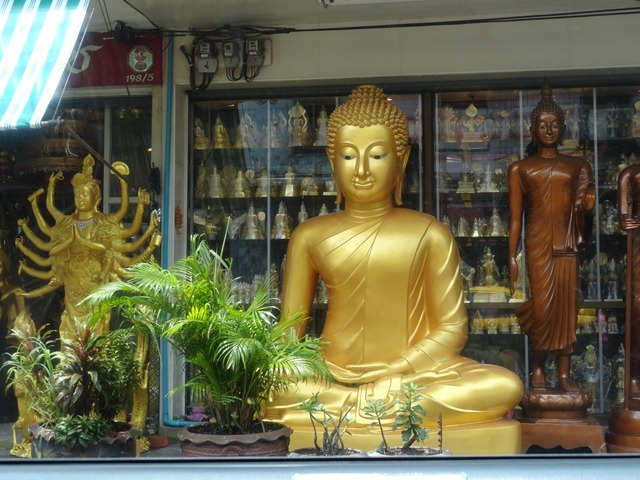 Overall, a very enjoyable weekend in Thailand, a precursor to a later, longer more immersive trip. Not sure when, but a highly anticipated trip for the future. Thanks for the excellent travelogue and photos. Hi SG, thanks for your comment. It’s great to hear from you. it’s been a while, I just started blogging again. I was just recalling your epic Fantasy Football comment as I’m starting to think about my upcoming draft this year. Hope you are doing well and continuing to blog. I’ll visit your site soon.